Today, I got my hands on a OnePlus One again for the first time since last August. 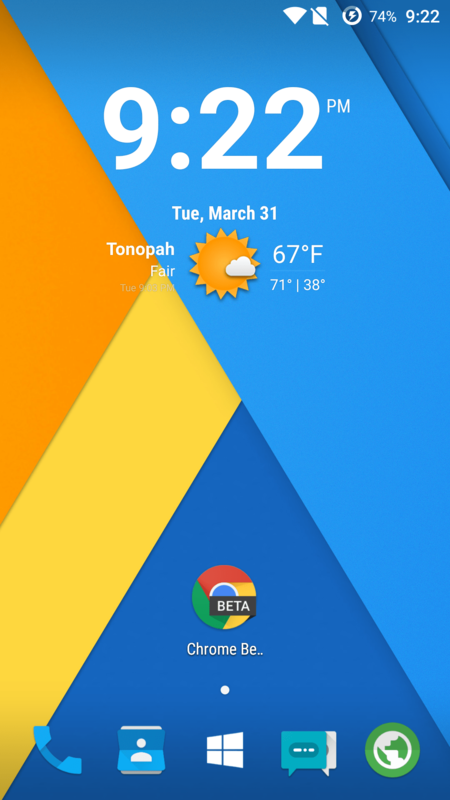 The first thing I did was flash the latest version of CyanogenMod 12 to device. 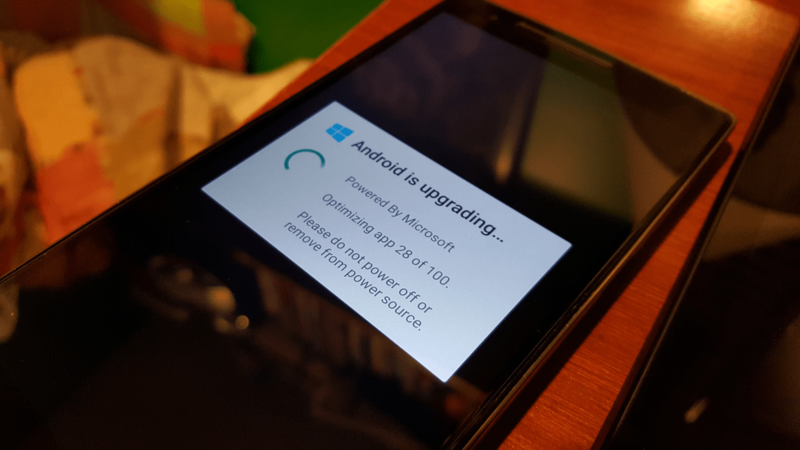 When I flashed the latest update, the “android is upgrading” screen showed quite the unexpected surprise. When the ROM was optimizing the applications, which is normal, something was out of the ordinary. Not only did the device show a Windows logo, but it said “Powered By Microsoft”. It’s good to see that the CyanogenMod team has a good sense of humor. Not only did the upgrading screen show off a few Microsoft jokes, the Trebuchet launcher had a joke as well. The application drawer features the Microsoft logo as well instead of the default circular application drawer icon. I didn’t find any other jokes aside from that, but it’s good to see that they can joke with Microsoft’s rumored investing. If you don’t recall, awhile back it was rumored that Microsoft was going to invest $70 million dollars into Cyanogen, but they ended up backing out this round. What do you think of CyanogenMod’s joke? Good or bad? Let us know!